You want to help others realize their full potential and live the life they envision for themselves. I WANT THAT FOR YOU! As a heart-centered change maker, you want to make an impact and make a difference. You have an important message that the world needs to hear, a message to help people in their business, their life, their health. They need you now! But it’s not always easy for you to do everything yourself. Maybe you “don’t really get technology” or you don’t know how to present your message more purposefully, or you just don’t have the time. That’s where I can help transform your business. 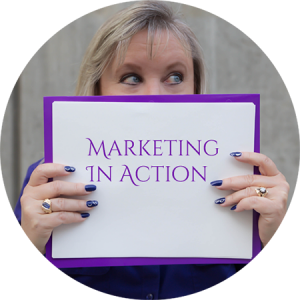 I’m Joanne Johnson, President of On Purpose Marketing, and my company can get your message out in a bigger way, more consistently – so you can reach more of your ideal clients without the frustration of figuring it out yourself. I take the confusion out of Infusionsoft, help you post with purpose, and give you back the precious time you so deserve to be the genius change agent that you are! Your genius lies in transforming lives. My genius lies in helping you get your digital marketing strategy in place and then implementing it for you. You wouldn’t coach your clients by telling them to figure it out alone, so stop doing that to yourself. I can’t wait to work with you to get your marketing on purpose, so that you can create your business on purpose. Sign up here to receive your free editorial calendar. As a bonus, you'll also receive a subscription to our monthly newsletter. Do you have a plan to create the business you envision? You know how important it is to start with the end in mind when intending your ideal business, but many times entrepreneurs are so focused on changing the world that they fail to break that big vision down into purposeful steps. We’ll help you create the steps you need to take in your online marketing to support your overall vision. A vision without action is just a dream, so let On Purpose Marketing help you put your plan into action. We’ll take your plan and content and post it to your blog, social media channels or YouTube channel so you can build those connections and relationships with to make your vision a reality. Let on Purpose Marketing take the confusion out of Infusionsoft. Whether it’s a weekly touch base email or newsletter, setting up your marketing funnel, or a full blown launch with an affiliate program, we’ve got your back, so it all goes out automagically.